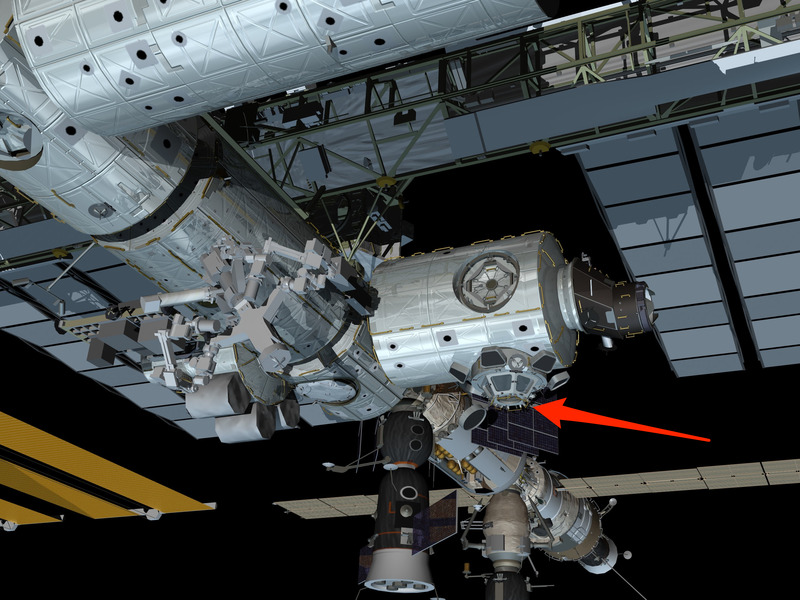 NASACupola observatory module at the ISS. The image to your right shows perhaps the favourite spot of every crew member aboard the International Space Station. 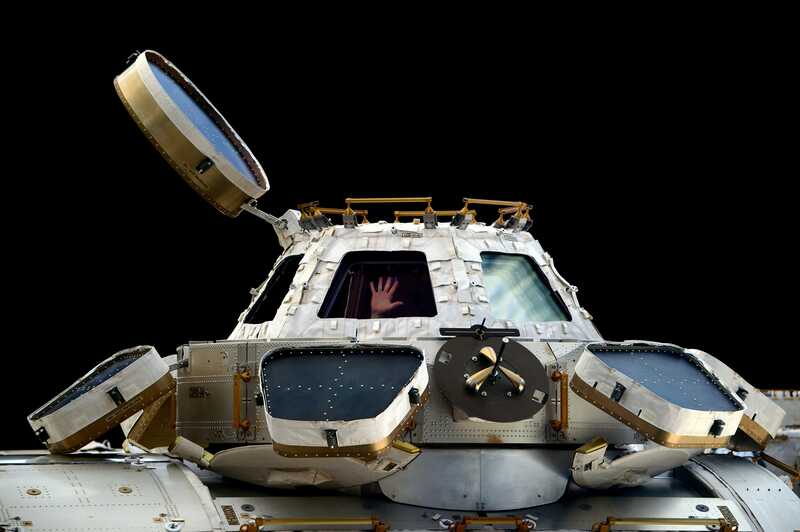 It’s called the Cupola observatory module, and it not only has the largest windows on the ISS but the largest windows ever installed on a spacecraft. Commander Chris Hadfield, who has spent a total of 166 days in space, used these fantastic windows for the incredible 45,000 images he took in space. It’s top, circular window, is the largest with a 31-inch diameter. But all of the windows are big enough to identify from the outside which astronauts are in the module. 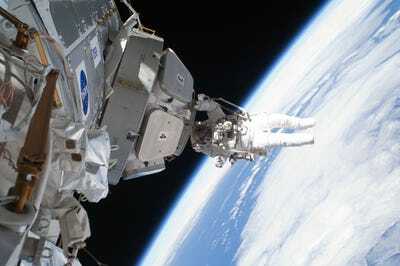 And crew members take advantage of the fact by photographing each other while peering out, as their crewmates are on a spacewalk. 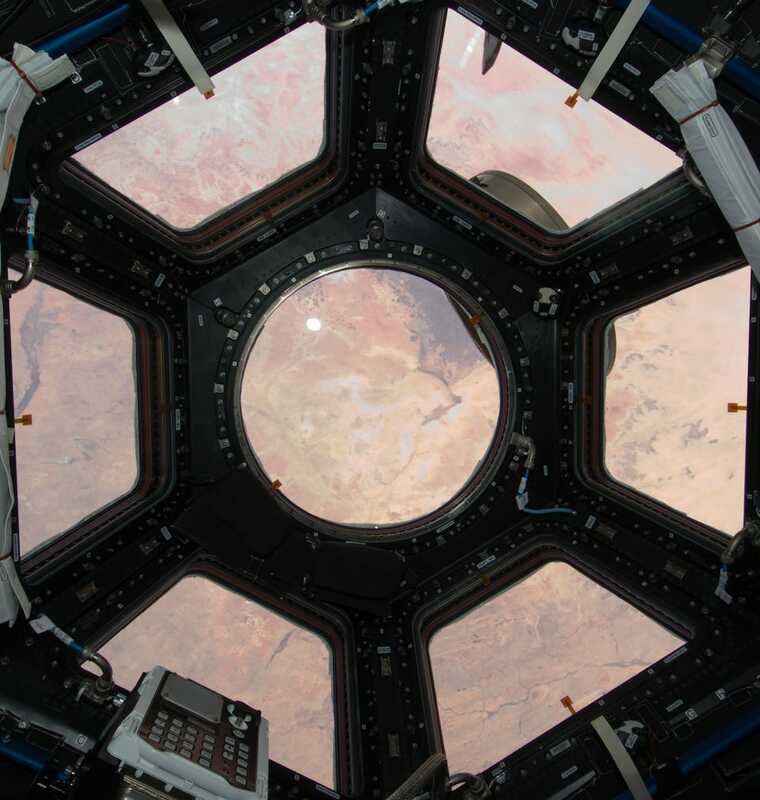 The size of the windows, although relatively large for space, give us a great perspective of just how small the Cupola module — and the rest of the ISS — really is. Cupola, which is Italian for “dome,” is 4.9 feet tall and less than 10 feet in diameter. So, you can’t fit more than an astronaut or two inside at one time. 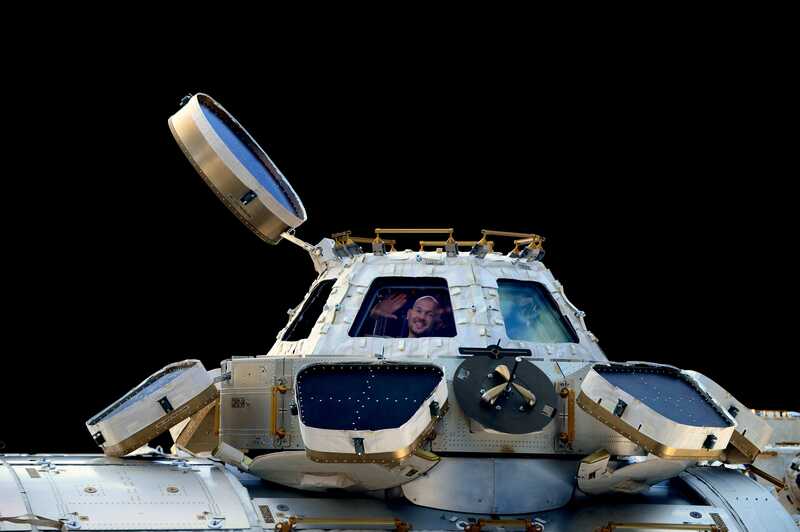 We found this fantastic image of European Space Agency astronaut Alexander Gerst peaking out of Cupola showing just how cramped life on the ISS can be. It’s kind of adorable. Alexander GerstESA Alexander Gerst inside the Cupola observatory module. Alexander GerstAlexander Gerst’s hand in the Cupola module. The Copula is just a small part of the ISS, but it gives you a great reference point for how small it is for the astronuats who call it home for multiple months on end. If you filled the ISS with water, it would only have space to hold one-third the amount of an olympic-sized swimming pool. NASA/Jessica OrwigCupola on the ISS. Gerst recently returned to Earth after spending over five months aboard the ISS. While in space from May 28 through Nov. 9, Gerst performed over 50 experiments, which included a spacewalk to improve the ISS and installing ESA’s furnace that can suspend and cool molten metal in mid-air. Gerst compiled an impressive collection of images during his space mission, which you can find here on Flickr. Public Domain via Wikimedia CommonsNASA astronaut Nicholas Patrick hanging on to Cupola.